Why the scores are different for different tests? Mobiles and tablets have entered quad-core age. The whole system becomes more and more complex. Scores difference may caused by varies of factors. Why device displayed as "unauthenticated"? When we need to confirm the performance of one device, we need corresponding device to do the test. It will displayed as "unauthenticated" if we do not have this device. Please contact your device's manufacturer to modify this into "authenticated." How does the rankings in AnTuTu Benchmark made? We select the most representative scores of devices, usually the medium scores, and then compared with others. The devices on the rankings are selected according to the popularity in corresponding country/ region, and different classes are needed as well. Because there are quantitative restriction of the rankings, we are unable to make all the devices listed on. Whether AnTuTu Benchmark is just? AnTuTu does not belong to any manufacturer or chip supplier. We have our own pursue of Android performance. 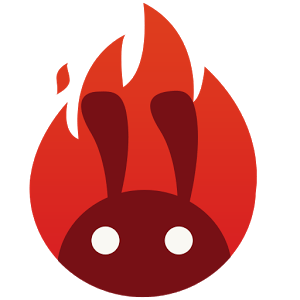 We would not modify our app to make manufacturers get better scores on AnTuTu Benchmark. Besides, we had expose several cheating on AnTuTu Benchmark. What are the useful of benchmark? AnTuTu believes that a device with poor performance is a real bad device, though good performance devices may have other problems as well. It is possible to be solved in the future if there are apps' issues. However, there is no chance to solve if it is related to the poor performance. Is AnTuTu Benchmark accurate? It is hard to answer the questions regards to the accuracy. This can only judged by users themselves. The method is quite simple: If a new device's benchmark exceed more than 50% than equal class devices released at the same time, then the result is questionable. New designed 3D test scenes, Refinery and Coastline. New UX tests that better reflect real-world use cases. One tap to verify your device. In-depth device info about battery temperature, battery level, and CPU load changes. Note: The Phone calls permissions we request only for get phone model and hardware info, then we can identify your device and gave you ranking. We never get your SIM ID or PHONE NUMBER.